Jenny has been involved in the Thoroughbred Industry for almost all her life. After graduating from Orange Agricultural College in the early ‘80’s with an Associate Diploma in Horse Management, she worked for Bob and Lorraine Logan of Logan Livestock Insurance Agency where she met husband to be David Moodie. David had just established Contract Racing’s first stud ‘Craigielea’ at Kilmore, standing the successful stallions Amyntor (FR), Raami (GB) and Blazing Sword as well as the state of the art training facility ‘Hobsons Lodge’ at Flemington. 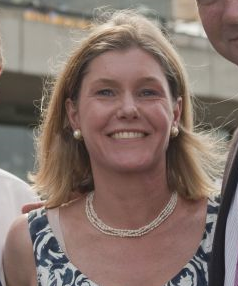 Being heavily involved in managing the business of Contract Racing’s rural properties and training stables means that Jenny has a very sound knowledge and experience of both sides of the Thoroughbred Racing & Breeding Industry. Jenny and David have 3 daughters and live at their current property ‘Yungaburra’ at Newham, nestled between the Macedon and Cobaw Ranges.